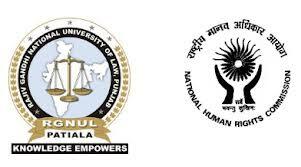 Rajiv Gandhi National University of Law, Punjab (RGNUL) and the International Committee of Red Cross (ICRC) welcome you to Ensayo 2013: 5th International Essay Writing Competition on International Humanitarian Law. Ensayo is the result of a long-standing collaboration between Rajiv Gandhi National University and ICRC, Regional Delegation for South Asia at New Delhi. The competition was instituted with the aim to encourage and seek the views regarding varied aspects of International Humanitarian Law from students across South Asia. What started out initially as only a pan-India level competition has today become one of the premier essay writing competitions in the South Asia region. The competition is open for students across South Asia from varied educational backgrounds. For more information, please download the Competition Handbook and the Competition Poster. We at Ensayo would like to once again welcome you to this year’s edition of the competition. THEME: Moving Beyond the Rhetoric: New Global & Domestic Challenges of Enforcement in IHL. WHO CAN PARTICIPATE: Students from the disciplines of Law, Political Science, Sociology, Psychology, Defense Studies, International Relations, Medical Sciences, Mass Media and Journalism from Afghanistan, Bangladesh, Bhutan, India, Maldives, Myanmar, Nepal, Iran, Pakistan and Sri Lanka. Submission must not exceed 3,500 words (exclusive of footnotes). All submissions must be in Times New Roman, 12 font size and 10 font size for Foot Notes, 1.5 Line Spacing, alignment-justify. Last date of submission is 31st August 2013. Submissions will be accepted till two days after the last date of submission, with a penalty of 1 mark per day. Violation of the word limit will result in a penalty of 1 marks per 50 words exceeded. No part of the essay (except the cover page) should contain any form of identification of the participant. There is no hard-copy submission of the essay. All submissions must be original and bona fide work of the participants; plagiarism will result in automatic disqualifications. The contestants by entering in the contest agree to indemnify the organizers from and against all claims, suits, and damages based on any claim of copyright infringement or plagiarism or unauthorized use. All entries shall be considered to be the property of the Centre for Advanced Study in International Humanitarian Law (CASH) which reserves the right of publication of the same in any book, journal, or in any other manner as it may deem appropriate, without providing any royalty or compensation. RESULTS of Ensayo 2013: 30th September 2013. NOTE: Rajiv Gandhi National University of Law, Punjab in association with ICRC, Regional Delegation for South Asia at New Delhi shall at a later date organize an Award Ceremony for the Prize Winners.